During the general election which followed the introduction of the first Reform Bill in 1831, thousands of working people in Merthyr Tydfil, led by the ironstone miners and skilled puddlers of William Crawshay II, moved for the first time into independent political action. On 2 June, after a mass rally on the hills above the town, thousands of workers under a red flag broke into insurrection. A detachment of Argyll and Sutherland Highlanders marched from Brecon to restore order: in the struggle which ensued at least two dozen workers were killed and seventy wounded. But the rebels drove the military out of the town, held the district for four days, defeated regular and yeomanry soldiers twice and were crushed only after some 800 troops had concentrated at Merthyr. Within two weeks of the Rising, the first trade unions lodges - part of a national organisation - appeared in South Wales, only to be broken in the autumn by a lockout. Lord Melbourne, Home Secretary in the Whig government, made the considered decision not to prosecute the rebel leaders for treason, but one man was hanged as an example: Richard Lewis, a miner of twenty-three, known as Dic Penderyn. Today, Dic Penderyn is more alive than Richard Lewis ever was; as a martyr and folk-hero, he has lived on in the memory of South Wales. Gwyn Williams examines in depth the reality and the mythology of that martyrdom; he tells the story of this remarkable year in detail and largely through the words of the people who bore witness. 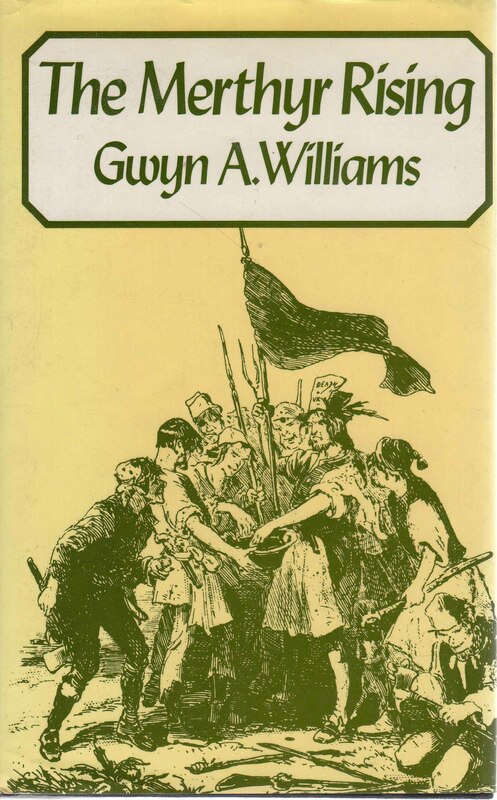 He argues that the events of 1831 in Merthyr were central to the emergence of a working class in South Wales: in that year its pre-history came to an end and its history began.